The barbaric attack on the Army Public School in Peshawar, where innocent souls became victims to mindless horror, still resonated in my head like as if it happened yesterday. The incident left me hopeless, broken and bordering on cynicism. However, recently, that hope was rekindled. In the backdrop of security crises and bloodshed, I came across a project in this beautiful city that made me a believer again. I have been to Peshawar as a kid but as I don’t have any memory of it, I would say that this was my first trip to Peshawar. Like any other person visiting this city for the first time, especially after it has been in the news for all the bad reasons, I had my misconceptions. To my surprise, when I reached this city I could see the usual hustle bustle one witnesses in any other city in Pakistan. People do get the courage to move on albeit the odds. 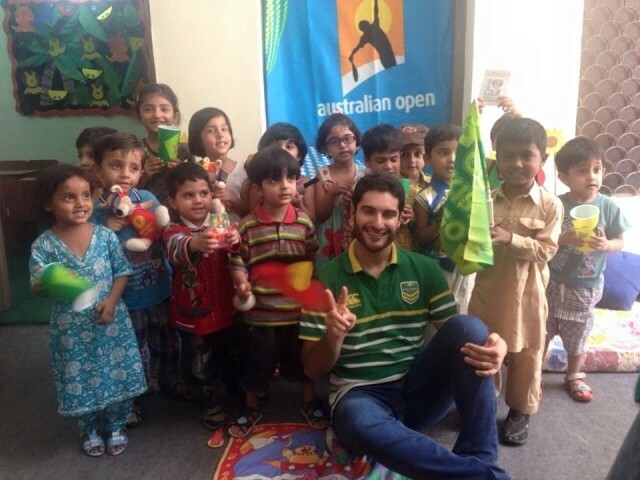 The reason that took me to Peshawar was a promising initiative started by an energetic young Australian national, Francis Ventura. Not long ago, the Peshawar Youth Organisation, together with several Australian youngsters, embarked on the journey of making peace a reality through a school known as The Peshawar School for Peace. This school aims at promoting social cohesion, gender equality, and interfaith harmony amongst its students, in order to create a generation of peacemakers. Seeing a team of driven, young people behind this initiative, was a delight. The young women in the team working hard to make this dream a reality were a source of inspiration. Thinking minds like these are the need of the day, especially in Pakistan. The bold brave faces trying to give their contribution restored my faith in humanity. “To be hopeful in bad times is not just foolishly romantic. It is based on the fact that human history is a history not only of cruelty, but also of compassion, sacrifice, courage, kindness. What we choose to emphasise in this complex history will determine our lives. If we see only the worst, it destroys our capacity to do something. If we remember those times and places—and there are so many—where people have behaved magnificently, this gives us the energy to act, and at least the possibility of sending this spinning top of a world in a different direction. I wish the team of Peshawar School for Peace the best of luck and look forward to seeing similar initiatives sprouting in other parts of the city. It is time to amend our ways; it is time to hope; it is time to look forward.